On Saturday, September 21, 2019, 9 a.m. – 4 p.m.
Peggy Clemens Lauritzen, AG, FOGS, was involved in genealogy before she was even born. The daughter of avid genealogists, she was spending time in courthouses and cemeteries while other children were playing on swings. The love of her family’s history has never left her. With her experience as a Family History Director, she is a frequent speaker at genealogical societies, seminars, and webinars where she loves bringing genealogy to life. Peggy is an expert in Ohio, mid-Southern, and Appalachian research and has written several Legacy research guides. She has been a featured writer for Reminisce Magazine and is an Ancestry Academy Expert Instructor. 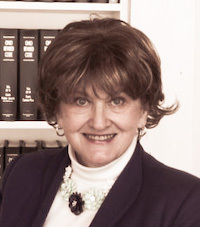 She was elected a fellow of the Ohio Genealogical Society, and received the Laura G. Prescott Award for Exemplary Service to Professional Genealogy. Apprentices, Indentured Servants and Redemptioners; White Servitude in America – An estimated one-half of early immigrants came to America as indentured servants. People came to the colonies by various means; some desired to come, and some came against their will. This lecture will examine indentureship in early America, and will follow a case study of the story behind my own ancestors’ arrival. This is by no means a comparison of indentureship and slavery. One had hope of a piece of land. The other had no hope at all. Migration Trails Across America – America has been a nation on the move since the first landings in the colonies. From buffalo traces and Native American trails to rivers and canals, Americans found a way to keep pushing “west”. This presentation concentrates on the most common means of travel in the New World. Migrations trails and patterns will be discussed, as well as the rivers and canals that interconnected us as a nation. A case study will show a “lost” ancestor. Ticked Off! Those Pesky Pre-1850 Federal Censuses – Those pesky tic marks seem to get in our way as we work to extend our pedigrees. Just what do they mean, and how can they help me? It’s exciting when we are able to find our ancestors on every census they appeared on, until we reach 1840 and beyond. Are they throwing us into a dead end, or can they tell us more? This lecture provides a case study following an eastern Kentucky family back into the area of Germantown, Pennsylvania. Putting America to Work – The Records of the WPA – The Works Progress Administration (WPA) was founded in 1935 as part of President Roosevelt’s New Deal. Providing jobs for over 8.5 million people, they were instrumental in compiling many records that are valuable to genealogists today. Many of the indexes and records we use today were compiled by the WPA; those unemployed professionals who were ‘put to work’ in the days following the Great Depression. The church is conveniently located on Gartner Road just east of Washington Street (north of 75th Street and west of Naper Boulevard). The building will open at 8 AM for walk-in registrations with the conference beginning promptly at 9 AM. Muffins and Coffee before 9 AM and Box Lunch are included. Genealogy vendors and door prizes are also featured. The syllabus will be distributed electronically by email. You may print our Conference Brochure and mail it to us or you can register online using PayPal.